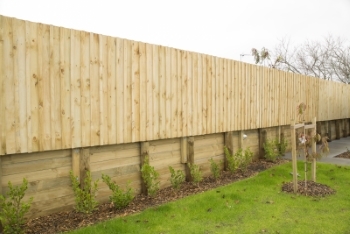 Auckland Fences have many years’ experience in designing and building high-quality cost-effective wooden (timber) retaining walls. We cover all of Auckland, including the North Shore, West Auckland, Waitakere and South Auckland. For low retaining walls under 1.2m in height, we have developed a strong standard design that is customised as required for your site. For heights over 1.2m, the retaining wall will be custom designed, due to the higher loads placed on it. A retaining wall has to be strong enough to hold the load of soil pressing against it – this is what determines the size of the poles and the thickness of the timber to be used. The footings or foundations however are what anchors the wall and is therefore the most important, because if they are weak the wall will fall. 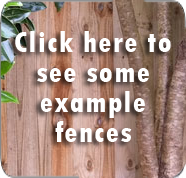 From posts to rails, to boards and nails – Auckland Fences only use materials of the highest quality that will continue to perform and look great for years to come. One of the important considerations for retaining walls is where the rainwater is to flow. Drainage plays a big part and in most instances, we will build with ‘Draincoil’ in the rear and a permeable fill such as scoria to hasten the water flow. Retaining walls over 1.5m require a building consent from the Council, you will need an engineered design for this). If the wall has a driveway above it, or buildings nearby that may affect the load on the wall, or has very steeply sloping banks – it will also need a Council consent. If the site has none of these aspects, then it is a fairly straight-forward process.